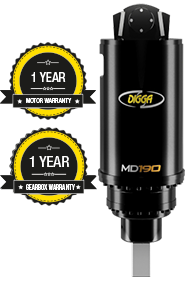 The Digga Mega Anchor Drive range is not for the faint hearted - Ideally suited to the screw anchor and foundation drilling contractor. 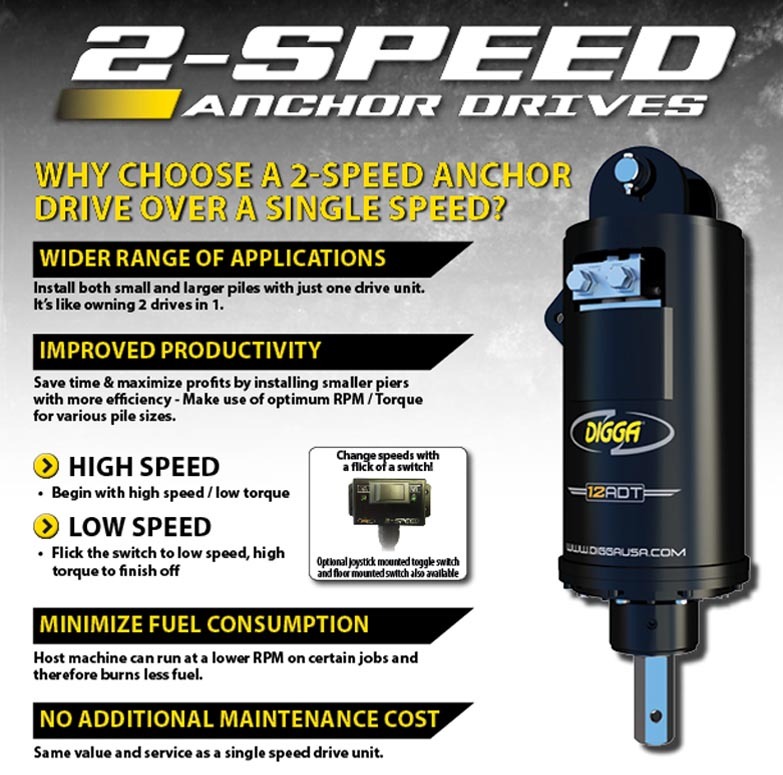 It is the ultimate in mega high torque performance up to 150,000ft-lbs. Digga drives utilize volumetrically superior and highly efficient Radial Piston motors to deliver constant and effective performance day in, day out - week after week. Overall Length 64" 70" 70"